After reading about the Harrods Disney Princess shop windows all over fashion blogs and websites, I knew I had to go and see these windows for myself and I was not disappointed! Without sounding too cheesy the displays were so magical, they summed up each princess perfectly. A range of different designers have come together to re-create some of the famous dresses worn by the princesses for this display. My favourite easily is the Aurora dress by Ellie Saab, it is absolutely stunning! 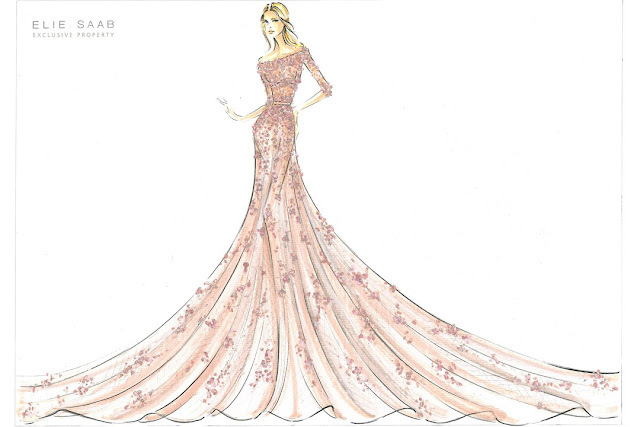 Other designers include Roberto Cavallai - Pocahontas, Ralph & Russo - Tiana from Princess and the Frog and Jenny Packham - Rapunzel. Obviously since I was in the area I had to pay the shop itself a visit, although Harrods at times can be a little bit over the top, I love its food court! Everything looks amazing, I could spend hours looking inside the glass counters reading about what's inside and what I could try out. One of my favourite sections in the court is the bakery, which for Harrods is supisingly affordable and they have their Christmas treats out now too, I quite like the look of orange and chocolate scone! And from fictional princesses to a real life one! I loved this Barbie Kate and Wills wedding day Carriage set, which you can buy here, it did make me giggle. I hope you enjoyed this slightly festive post and I would seriously recommend taking a trip Harrods to see the shop windows, its even better in real life.